Will China’s Upcoming Communist Party Congress Formalize ‘Xi’ism’? The once in five years upcoming Congress of China’s ruling Communist Party, to be held this autumn, would in every circumstance be a major global political event. But this year’s Congress will be even more significant because it will formally consolidate Xi Jinping’s position as China’s most powerful leader since Deng Xiaoping and Mao Zedong. In official terms, Xi is already designated as the ‘core’ of China’s leadership. But this position is likely to be extended formally into the ideological and policy fields in what may be termed ‘Xi’ism’. Two simultaneous realities, one domestic Chinese and one international, characterise ‘Xi’ism’. The conclusion which flows from their interrelation in turn clearly explains why Deng Xiaping’s dictum ‘hide brilliance, cherish obscurity’ has been modified to explaining China’s analysis to a global audience in events such as Xi Jinping’s widely reported speech to this year’s Davos World Economic Forum. Domestically, China is in transition within five years to a self-defined criterion of ‘moderate prosperity’ and within a decade to the World Bank’s definition of a ‘high income economy’. Internationally, although this is not yet widely recognised, following the international financial crisis advanced economies face prolonged average growth that is actually slower than after the Great Depression started in 1929. Xi Jinping is therefore the first Chinese leader facing a simultaneous combination of China’s transition to a high-income economy with low Western growth. 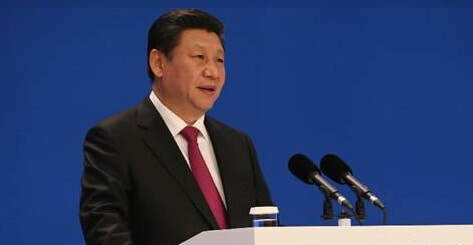 This combination, therefore, produces China’s new policy configuration – ‘Xi’ism’. To read my full article at The Market Mogul please click here.